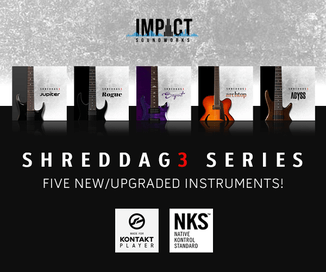 Synthogy has announced that it will begin shipping Ivory II – Italian Grand through its distributor ILIO and retail stores on November 1, 2010. 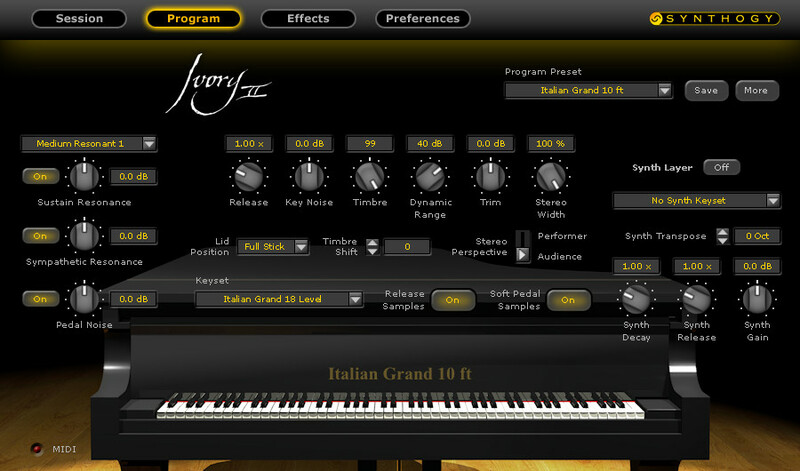 Ivory II Italian Grand is the second product in Synthogy’s newest generation of virtual piano technology. The first, Ivory II–Grand Pianos, was released in September. Featuring the expanded sound set of the original 10 foot Concert Grand Piano, and fully integrated with the powerful new Ivory II piano DSP engine with Harmonic Resonance Modeling for true Sympathetic String Vibration, Ivory II–Italian Grand represents the leading edge of virtual piano technology. The piano itself is one of the world’s most sought after Concert instruments. Handcrafted in Italy, it is also one of the world’s most expensive and exclusive Concert Grands, renowned for its expressive dynamics and full-bodied character. Its tone is remarkably versatile, equally at home in large-scale classical works, intimate jazz playing, as well as a full range of rock and pop styles. The beauty of this instrument is captured in great detail, with up to 18 velocity levels, additional soft pedal and release samples and pedal noise enhancements. Synthogy’s decades of expertise in piano development, along with proprietary “timbre interpolation” technology combine to deliver the unrivaled playability and expressiveness that Ivory is famous for. Ivory II Italian Grand also comes to life in a whole new way thanks to the innovative features in the new Ivory II piano engine. Principal among them is Sympathetic String Resonance, a long sought after but elusive characteristic of real pianos that Synthogy approaches in a completely new and unique way. Realizing the true complexities and subtleties of sympathetic string excitation, Synthogy’s Harmonic Resonance Modeling is a brand new technology that does not rely upon triggering additional samples, ordinary sine waves, or recordings in any way. Rather, notes struck that are harmonically related excite the actual complex overtones of the notes that are being held, in the same manner that un-damped strings ring in a real acoustic piano. The result is an unprecedented new level of realism. The full compliment of Ivory II’s new features is also present, such as Half Pedaling, Lid Position, Pedal Noise, and Tuning Tables to provide even greater detail and control. 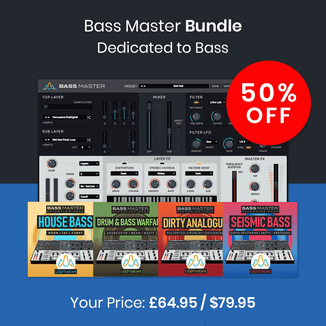 Additionally, features like Timbre Shifting, Parametric EQ, and new Synth Layer controls offer powerful new sound sculpting capabilities for custom piano programming and sound design. 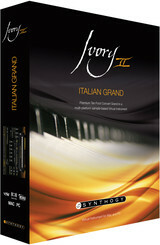 Ivory II – Italian Grand is available to purchase for a suggested retail price of $179 USD.